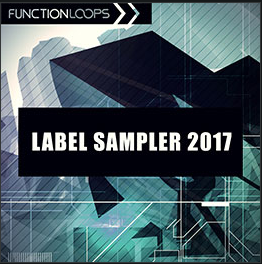 Function Loops has just released Label Sampler 2017 – a 900MB free sample pack. It has up to 300 files, including samples, one-shots, loops, midi files and presets. Label Sampler 2017 is a collection of several construction kits created by the company and includes titles such as Art of Progressive Psytrance, Cinematic Future Trap, Festival Psytrance, Future Deep Tech, Tropical House 2017, Total EDM 2017 and much more. The product is a 24-bit WAV high-quality material, 100% royalty-free, ready to use. It’s a great pack for electronic music producers and composers. Label Sampler 2017 comes with 12 folders, with packs from both Function Loops and Sharp (a sub-division of Function Loops Label Group). 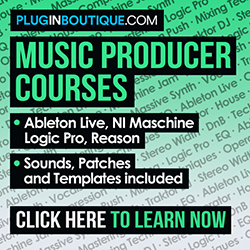 There are loop files, like bass, drums, melody, piano, chords, vocals, effects and more. Also, one-shots from kicks, snares, hihats, crashes, percussions, filter, noise, etc. Some packs, such as Tropical House 2017, Strictly G-House, Total EDM 2017, Vocal Infused Future Bass and Garixx Power Sounds include Sylenth and Massive presets. Most packs also have midi files and even stem folders. The company frequently announces new free material, along with paid sample packs, so it’s a good idea to check out their website from time to time.